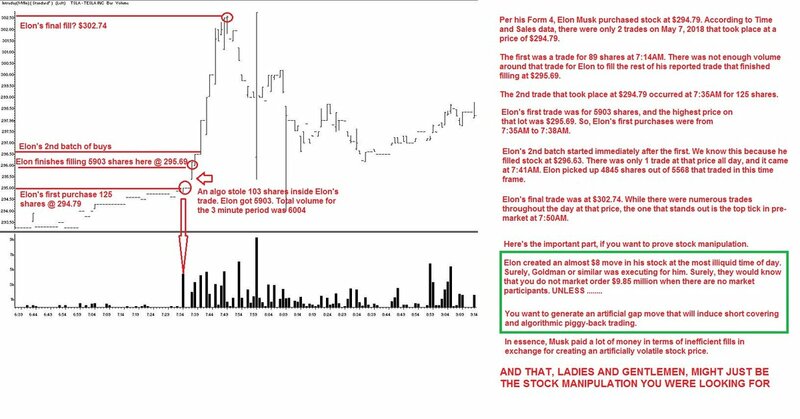 Is this proof that Elon just attempted to (actually did) manipulate his own stock price? Follow the analytics and the logic …. you make the call. It's time to have a conversation about $TSLA's solvency. Meanwhile the CEO is on twitter bragging about manipulating a short squeeze. And hanging up on the chair of the NTSB.